The Swiss Center for Electronics and Microtechnology (CSEM) organizes on 26 September 2015 from 10 am to 4 pm Open Day focused on its activities in photonics. 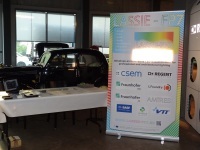 LASSIE-FP7 project will be showcased and its first conceptual demonstrator will be introduced there. So don’t miss it! It will take place in CSEM Muttenz premises. You can check the flyer of the event for details (only in German). Basler Zeitung published an article about the event titled “Licht ist das Medium der Zukunft”. You can read it here. Euresearch Basel is organising an event titled “Horizon 2020: From basic research to novel technologies and materials” on 7 July 2015 in Basel, Switzerland to inform local researchers and companies about the EU-funding opportunities for new technologies. The topics of the upcoming ICT and NMP calls within the Industrial Leadership pillar of Horizon 2020 as well as the Future & Emerging technologies (FET) programme will be presented there. LASSIE-FP7 coordinator, Rolando Ferrini from CSEM, was invited to share his experience in writing and running an FP7 project. The event will be held at the University Hospital, Hebelstrasse 20, Basel and the language will be English. Participants from the local research institutions (University, FHNW, CSEM, FMI etc.) and from local companies are expected to be present. The event in organized in collaboration with iNET innovation networks. For registration (free of charge) and further information, click here. LASSIE-FP7 was present at the 10th anniversary of LASER World of PHOTONICS CHINA, China’s Platform for the Photonics Community, which took place from 17 to 19 March 2015 in Shanghai New International Expo Centre. A total of 715 companies from 20 countries exhibited on an exhibition area of 36,960 square meters. In the three days, 40,291 industry professionals visited the trade fair. For more details you can check the event’s website. 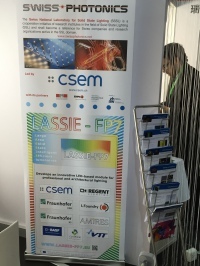 A combined roll-up of LASSIE-FP7 project and Swissphotonics (the Swiss national thematic network for photonics) was displaced at the fair. The photos are available in the Gallery section of the website. Conference on photonics, biomedical optics, optoelectronics, industrial lasers, optical MEMS, and more – SPIE Photonics West – took place from 7 to 12 February 2015 in San Francisco, USA. Two exhibitions took place there: BiOS Expo, biomedical optics and biophotonics exhibition, and Photonics West exhibition focused on the photonics industry. 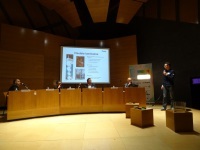 Rolando Ferrini, LASSIE-FP7 coordinator, gave a presentation on the project progress there on 11 February. The slides are available in the Scientific publications section of this website. More information on the conference can be found here. 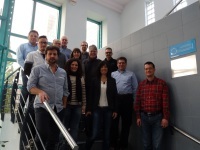 LASSIE-FP7 consortium met for a two-day meeting (M12 meeting) from 26 to 27 January 2015 in Bilbao, Spain, in GAIKER’s premises, in order to discuss the project progress made in the last 6 months. Work Packages overview was presented and steps for the coming months were planned. As every 12 months, the General Assembly members also met together to check the project strategy and make decisions on open issues. External Advisory Board members also took part in the meeting. The overall project progress was presented to them and the consortium appreciated their relevant inputs. A press release issued by GAIKER after the meeting is available here (only in Spanish). 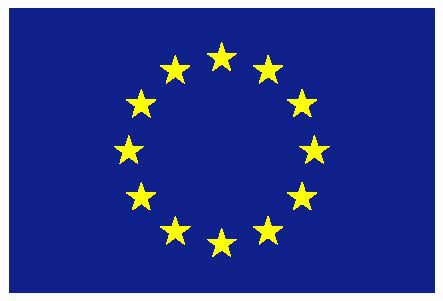 Next meeting will be a review meeting (M18) in Brussels in September or October 2015 where the project outcomes of the first 18 months will be presented to the Commission. M24 meeting will be organized by VTT in Oulu, Finland. The year 2015 was proclaimed by the United Nations the International Year of Light and Light-based Technologies 2015 (IYL2015) to raise global awareness about light-based technologies, to promote sustainable development and to provide solutions to global challenges in energy, education, agriculture and health. 2015 will be thus filled with light festivals, light and art, physics courses, lectures, astronomy, astrophysics, street lighting etc. The official Opening Ceremony took place on 19-20 January 2015 at UNESCO Headquarters in Paris, France and was organised with the support of the EU-funded initiative LIGHT2015. Over 1,000 participants gathered for the event. It introduced all the key themes of the year, and aimed to inspire activities and events worldwide for the whole year. You can watch the presentations from the Ceremony here and follow the news on IYL on its website here. A combined roll-up of LASSIE-FP7 project and Swissphotonics (the Swiss national thematic network for photonics) was displaced at the ceremony. LASSIE-FP7 plans some activities linked to the IYL this year. Italian partner of LASSIE-FP7, LFoundry S.r.l., organized on 20 and 21 November 2014 in Celano, Italy a workshop focusing on regional cooperation and dissemination of the first LASSIE-FP7 results with the aim to promote industrial development in Abruzzo region. Local innovative companies as well as CSEM (Swiss Center for Electronics and Microtechnology) and Fraunhofer Institute for Integrated Circuits (FhG IIS) introduced their activities during the first day of the event. The second day was focused on Horizon 2020 programme and LASSIE-FP7 project which was presented by Rolando Ferrini, project coordinator. Specific project aspects and results were introduced by Stephan Junger from FhG IIS and Olli Tapaninen from Finish VTT. LFoundry contribution to the project was presented by Andrea Del Monte. The presentations from the first day are available here (some only in Italian), from the second day here and photos can be looked at in Gallery section of the website. The event was also covered by two regional TV (in Italian): RAI TG3 Abruzzo (starting from minute 8:30) and Antenna2 (21 November, starting from minute 11:50) as well as by other media. 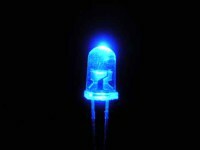 As LAS SIE-FP7 uses blue LEDs (light emitting diodes) in its model, the whole consortium was happy to learn that the Nobel Prize in Physics for 2014 was awarded to inventors of blue LEDs as the basis to modern energy-efficient lighting. Congratulations to Isamu Akasaki, Hiroshi Amano and Shuji Nakamura. Swissphotonics (the Swiss national thematic network for photonics) and the Swiss National Laboratory for Solid State Lighting (SSSL) together with LASSIE-FP7 project and CSEM (the Swiss Center for Electronics and Microtechnology) organise a workshop focused on Large-area Solid State Lighting (SSL) on 30 October 2014 in Pantheon premises in Basel. Speakers from leading light industries (OSRAM Opto Semiconductors GmbH, Philips GmbH, Regent Lighting AG) confirmed their participation. Very interesting topics such as the SSL revolution or new trends and developments in SSL will be discussed. Panel discussion with representatives of product manufacturers, associations, architects and politicians will debate future challenges in SSL. Project LASSIE-FP7 will be presented by Dr. Rolando Ferrini, project coordinator. View detailed agenda and registration (free of charge) here.